Remember that on the 25th of each month we will be revealing one of our secrets for the perfect Christmas in 2012. Today we reveal Secret #7- Memories are more magical than we think they are at the time! Not sure why I can’t seem to remember what day it is! 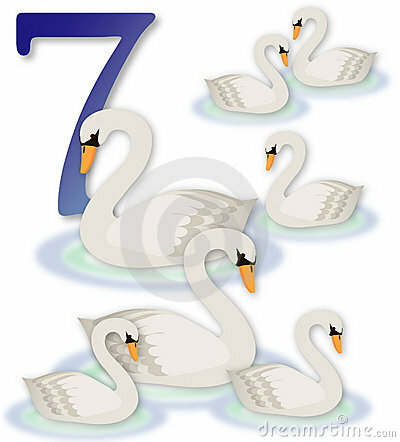 So we’ll close out May with our #7 secret. Memorial weekend took much of my energy and thoughts and I overlooked the 25th. Getting these secrets out is the important part, right? Not so much what day we post them. This secret to a perfect Christmas is one that you can’t very much control, and that’s the point. Special memories come in all shapes and sizes. We all have been a part of that special gathering or happening that was supposed to create the most amazing memories for all involved. Large group, family, or just a couple could be prone to this type of expectation. Way too often these staged memory events do end up being remembered, but more for the annoyance of all the planning, organizing, etc. The true special intention gets lost in the attempts to make it so magical. Think of all the sit-coms and movies that have that over-planned magic as a key plot point. What we all need to remember is to enjoy the moment. Live in the now, even at Christmas. Plan special times together definitely but go for the regular, not the over done. Here’s a great example. You could set-up a huge evening for your family to go see Christmas Lights. You order the limo, plan the special dinner, and chart a specific course of just the right houses to drive by. Nice, but could go so wrong. The memorable light trip might be the random night you decided to go look at lights instead of just driving home from the grocery store. The simple and endearing times we share are the memories that will endure and be cherished. Thanksgiving morning I’m industriously circling sales fliers while watching the Macy’s Thanksgiving Day Parade. My sister-in-law invariably says, “My shopping is already done.” Those are words that cause inward angst and irritation. She’s raising four children! How does she do it? 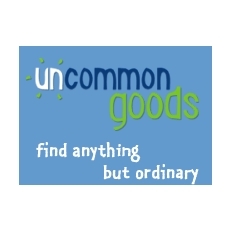 I received a sales magazine for Uncommon Goods today. I admit that at least half of my Christmas purchases came from their products last year–not on sale. This flier was a reminder about Father’s Day in two weeks. All of the man-friendly gifts are concentrated in this month, so why don’t I buy them now for Christmas? In fact, I bet there is a “best time” to buy just about everything. I am always sharing my “get rich slow” schemes (Here’s my best latest idea: Chicken Portraits–FowlPhotographer.com), and I’m delighted to report that there’s an entire website called Get Rich Slowly: Personal Finance that Makes Cents. In staff writer April Dykman’s post, she chronicles every type of item and the best time for the best prices. Right now, according to her blog post, Father’s Day inspires great hardware store deals. Also, new vacuum models come out in June, so there are clearance sales of older models. (I know there is a taboo about buying vacuums and appliances for the spouse for Christmas, but I don’t agree.) Because this is wedding season, there are deep discounts on pots, pans and dishes. My goal is to have it all done early! Podcast #22- 208 Days to Go! Podcast #22- Click here to listen to this week’s podcast- Time for the Yard Sales! Over the weekend Natalie and I hit up a whole mess of yard sales. 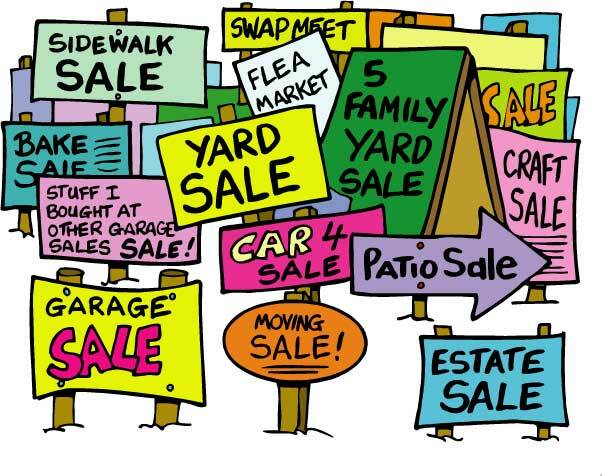 Listen as we discuss the various types of yard sales, our quest for Christmas finds, and how we did finding some treasures to give as gifts. We have garages, historic homes, estates, churches, and career yard salers. Four hours of fun and less than $50 spent. Check out our plans for next week too- we need your help to make it happen. The Yule Log 365 honors all who have served. Our usual Monday podcast will be up Tuesday this week. This weekend we pause across the United States to remember those who have served and sacrificed in defense of our nation. The tradition of Memorial Day in the US dates back to the days following the Civil War. In the years after the war Decoration Day, as it was then known, was started as a recognition for the fallen Union soldiers in the conflict. Over time the ceremonies and focus or remembrance extended to all those who served. It would not be until 1967 that Congress would establish the date as a national holiday. It is a weekend of tradition for many. Family picnics, the opening of the community pool, the trip to the shore, community parades, retail sales and the Indianapolis 500 all add to the activities on Memorial Day weekend. Hopefully you have found time this weekend to recognize the veterans in your family present and past. Maybe you attended a parade or ceremony to honor those who serve and those lost in battle. 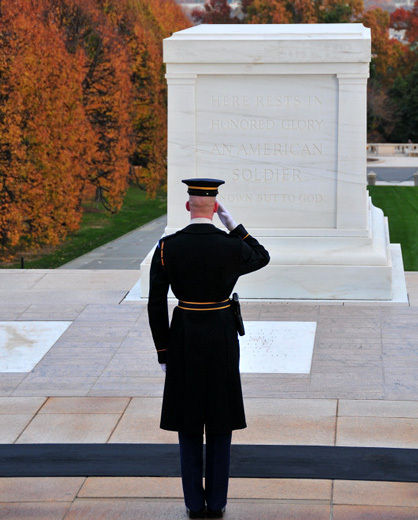 Not everyone takes time to remember the importance of our time as a nation to remember. For me, even in a family and with a father who served in the military, I didn’t really get it. I looked forward to the pool and the grilling. Oddly it was a speech about veterans, not even on Memorial Day, that clicked for me to understand the sacrifices that those who serve make. 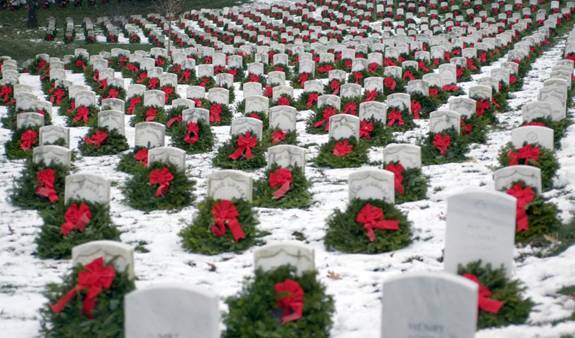 Remembering our men and women in service is important today and should be important at Christmas as well. That time of family connections is another time to remember those missing from the celebration. We should all take time to make those days easier for the families with a new empty seat. If someone in your family or a close friend is a veteran or on activity duty, consider a special gift to appreciate their time and sacrifice. Thank you to all who have served, do serve, and will serve our freedom. You have given all of us the ultimate gift of your dedication, service, and lives. Thank you very much. 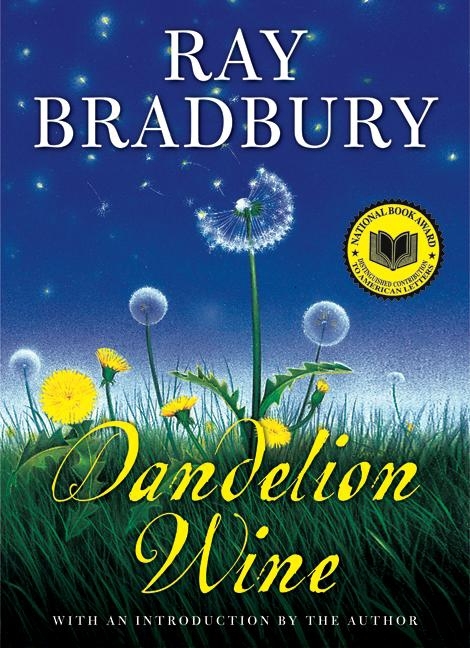 If you have not read Ray Bradbury’s novel, Dandelion Wine, you are missing one of the most poetic works about the glories of summer and the magic of childhood. Bradbury is known for science fiction stories like Fahrenheit 451, but this novel is about a small town and a boy attempting to capture its mysteries. What does it have to do with Christmas? Quite a lot! Like our fascination with farmers markets, Douglas, the main character in the series of stories that all take place in Greenville, Illinois, picks dandelions several times each summer for his family to make dandelion wine. This wine is then meted out in tiny glasses for celebration and as an elixir when family members are sick. This is the time to think about the Christmas gifts that are bottled, frozen, and canned “summer.” In fact, you could give a loved one a basket of summer—all the treats that you grew (or bought locally) and made into preserves, frozen treats, or pickled. I don’t know how to make dandelion wine, but I am willing to learn (and have the raw material at hand). I have strawberries and other fruits of the garden. This year, I’m going to branch out and try some new canning recipes–salsas, jellies and sauces–to share at Christmas. Books! The perfect gift for almost anyone. I love books! I have hundreds and love to give them as gifts, especially at Christmas. My nieces and nephew are all under 4 years old but they know that Uncle J brings books! Christmas is such a nice book giving time. You can give Christmas books or other books. Activity books, story books, sticker books, primers, or just a classic picture book. 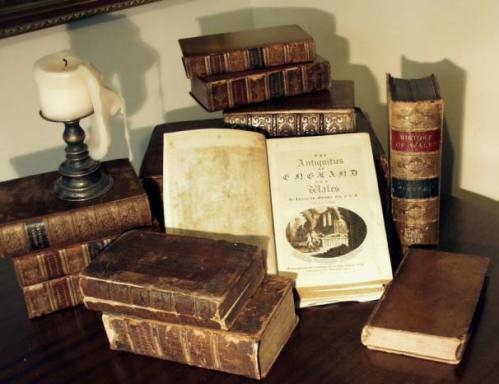 Sports books, biographies, novels, how-to, and travel might fit the bill for older readers. The challenge with books is finding them. Of course you can find just about any book on-line, but you have to know what you’re looking for. Roaming through a book store provides that chance of discovering the hidden and unexpected find. The book you didn’t know was written that is perfect for someone. With fewer and fewer traditional book stores, the shopper must find new ways to discover books. Try finding that local book sale. I stumbled upon one last weekend at the Washington County Library in Smithsburg, MD. Most libraries, in addition to providing so many other amazing programs, regularly host used book sales. Churches and schools do the same. These are great opportunities to discover a new book. Roaming the tables with books spread all over is just a great was to spend an early afternoon. Books smell good too! Giving books is a great tradition but the cost could be prohibitive. New books are so expensive and I like to give more than one book as a gift. A pair of books seems so much better! To make your gifting dollar go further look for those used books. In addition to the book sales you can get many great finds at your local garage or yard sales. The most you might pay for a book there is maybe a dollar. Remember at most yard sales the goal of the seller is to just get rid of stuff. Find 5 or 6 books you want and make an offer- I bet they’ll take it. The other great benefit of giving used books is you can read them all before giving them, so shop early and read up. Tomorrow Natalie and I are off on a yard sale quest to find Christmas treasures and bargains. I have books on my list and hope to find a few classic holiday titles for my nieces and nephew. We’ll be sharing our results on Monday’s podcast so be sure to check it out!